Ideal softness, comfort and luxury for any season. Ribbed mock neck, cuffs and waist, contrast at collar. 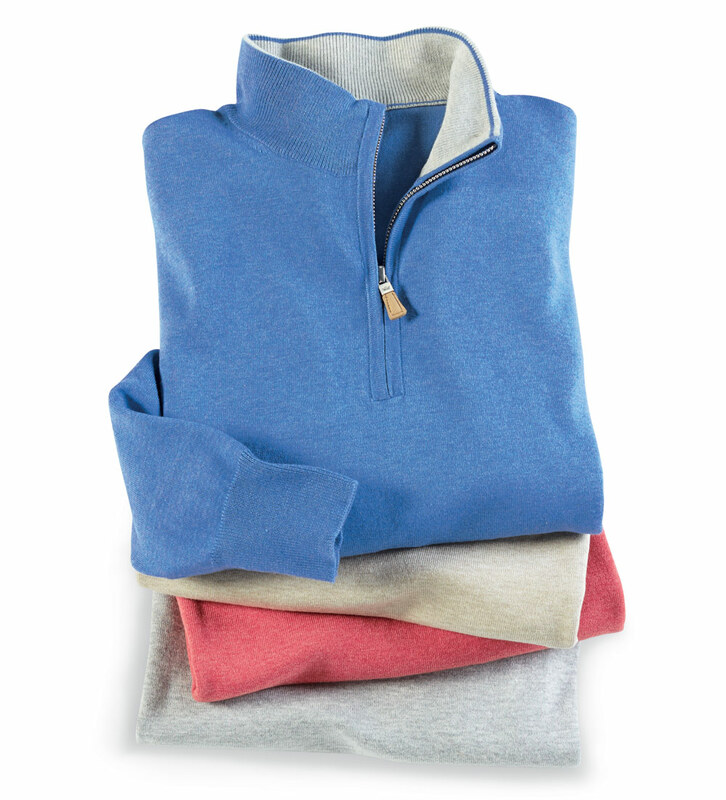 67% pima cotton/21% nylon/9% silk/3% cashmere. Hand wash or dry clean. Imported.